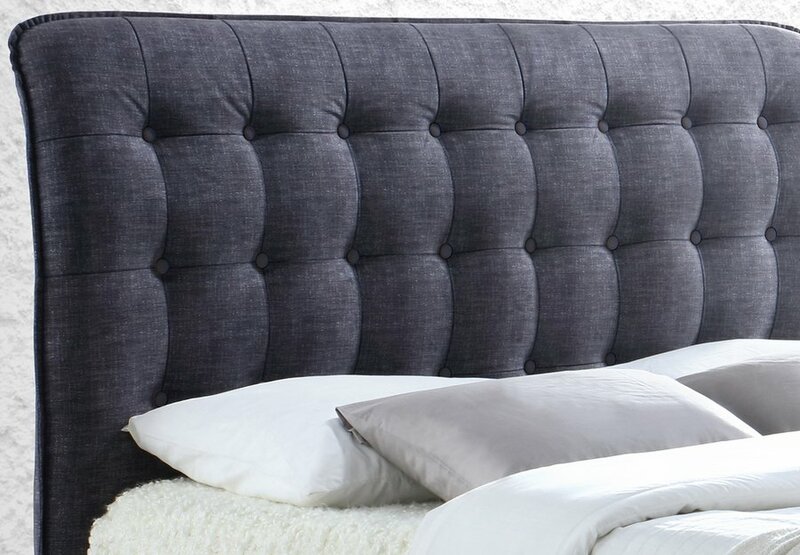 Deep buttoned curved headboard draws your eye to the Hamilton bed frame. 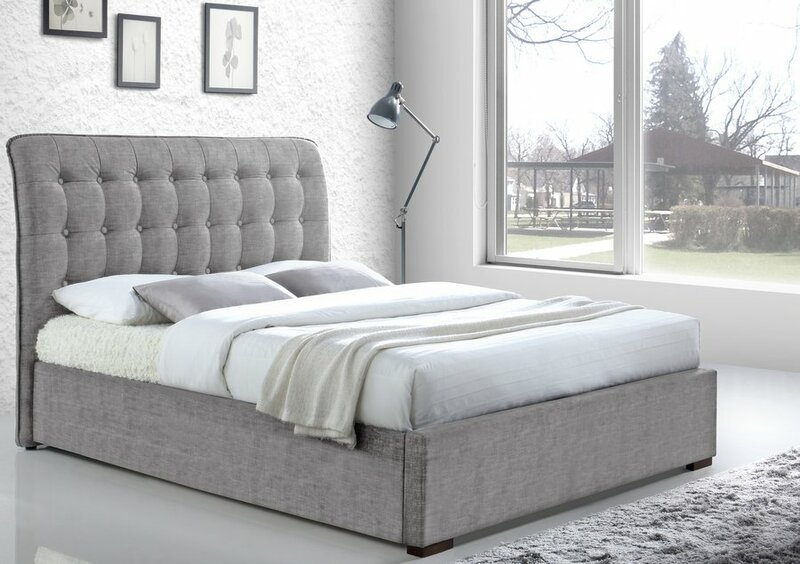 Pick from fashionable light or dark grey luxurious fabric to suit your decor. 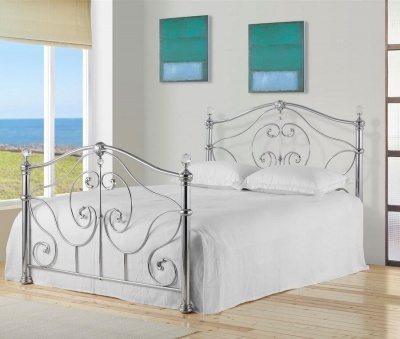 Works beautifully with luxury or simple styled bedrooms. Small wooden feet compliment the bed. 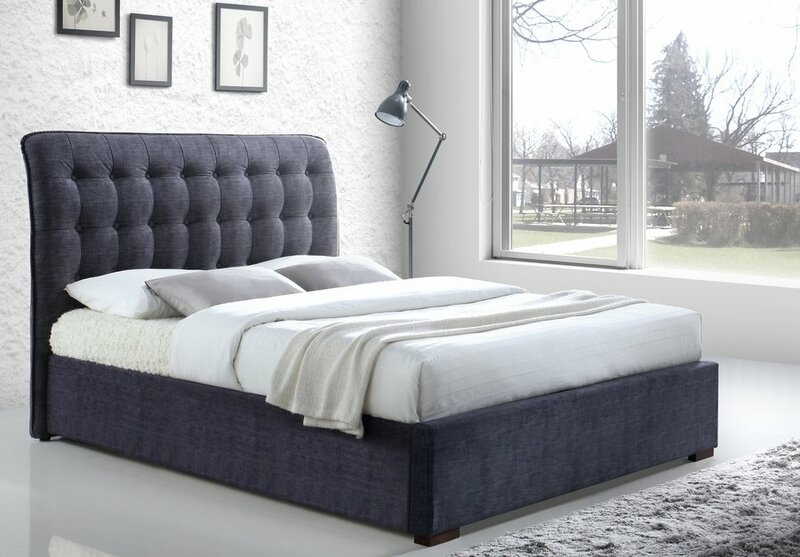 Comes with a sprung slatted base providing a sturdy even sleeping surface for a better nights sleep. Side rail height: 33 cm. 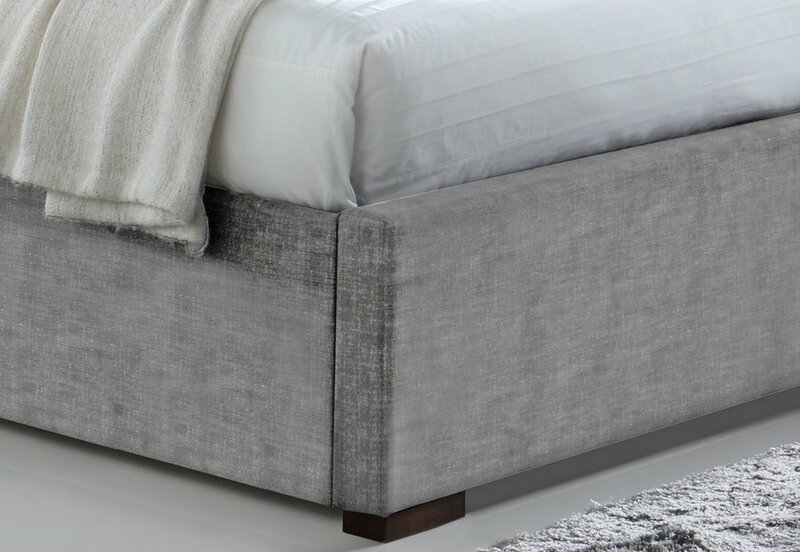 Floor to mattress base: 23 cm. Under bed clearance: 2.5 cm.